Made In The Shade Blog: Date Night and the Versatile Blogger Award! Date Night and the Versatile Blogger Award! My husband and I had date night to unofficially celebrate 4 months as a married couple - I know, we're wild people going out on a Monday night. Such is the life of night shift nurses. He surprised me where we went, and took me for dinner and dessert. We ended the night taking our puppy to the pet store because he needed more food, and we let him pick out some toys. All in all a great night! But I was also excited that I got to wear some fall clothes! The temp is finally dropping enough to break them out. However, it has been rainy and windy almost the whole weekend. Hence my pictures being taken inside. Also keep in mind my husband was being a very impatient photographer. But I wanted to share anyway! I am so crazy about this new top! I feel like I can dress it up or down! And I love my tried and true accessories just as much! We had dessert at Red Line frozen yogurt! So good! These are my first "fashion photos", I am still learning! I loved this outfit too much not to share! 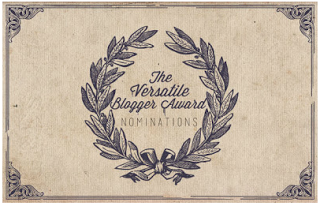 On another note, I was nominated for the Versatile Blogger Award by Alex over at Monster Misa. The award honors different bloggers that have posted quality blogs and have touched their readers in some way, whether it be by their photos or the unique subjects covered. Basically the Versatile Award honors bloggers who bring something special to your life. 1. I am a twin, who is also a nurse. Up until this week, we worked on the same ICU for the last year and a half! 2. My husband is an emergency room nurse. 3. My favorite book is Gone With the Wind. 4. I am a Christian - having God in my life is such a blessing! 5. My favorite color is pink, and anything that sparkles! 6. I love shopping at Dottie Couture, Red Dress, Forever 21, and Francesca's. 7. I am a huge St. Louis Cardinals baseball fan. Go Cards! What's your favorite fall outfit or date night? Cute outfit!! I love the tie in the back. It reminds me of a J.Crew top I liked a lot especially how the collar looks like a necklace. No one will ever understand what it's like to be a night shift nurse! Going out to eat on a random night is pretty standard in my house too! How funny your husband is a nurse and your twin sister too and y'all used to worked together! Did y'all ever switch who you were and confuse everyone?! I love the top, especially the little bow at the back! I love how your top ties in the back and I love the detailing on the neck! I hope you had a wonderful date night and congrats on the award! Congrats again on your award, I love reading your blog everyday! So cool to learn that you are a twin! Thanks for giving me the award, I love your blog too! Love the outfit and how you put everything together! That top is so gorgeous and I agree you can easily dress it up or down! This is such a cute outfit. I especially love your shoes and the purse! And congrats on winning this award! Cute, cute, cute! The bow detail on the back is darling! Hey! I just tried to respond to a comment you left on my blog (Southern Beauty Guide) and you are showing up as a no-reply blogger. I know! I am trying to fix this but am having a difficult time since my blogger profile is liked with google+. Do you have any ideas? Yes, we do! I love those shoes too! I wear them with so much! Those are some nice shoes! I also like that watch as well! Great pics! AE has really impressed me with their jeans this year. Since my boyfriends lives in St. Louis currently for work we're converted Cardinals fans. I love going to their games! I'm originally from there! I'm anxiously waiting for the game tomorrow! I really like AE jeans. I have other brands but their skinnies are my fav! I admire that you are a nurse along with your sister and husband! I've always looked up to all my nurse friends. It takes a very special person, that's for sure! No I won't laugh! My husband grew up on a farm so his style is just like that! I lived on a farm (only til I was 3, so I don't think it really counts haha) but I love my casual days too! My husband has been begging me to go on a combine ride for months (when we go home to his parents) maybe I'll have to finally give in! I am hoping I will get better at the outfit pic thing in the future! I just love your blog!